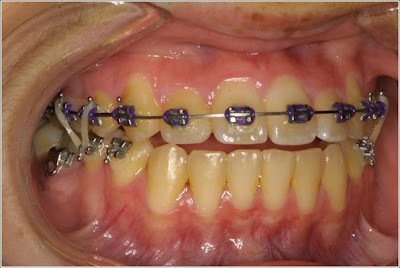 Orthopedic/Orthodontics: Extracting four healthy bicuspids to treat dental crowding, WHY? Over the past 42 years, gneuromuscular dentistry has been steadily building its aesthetic orthodontic-orthopedic foundations based on sound bio-physiologic principles. Three key corners stones on which we have been building our foundations of clinical science and treatment philosophy has been in the disciplines of occlusion, TMD and orthodontic/orthopedics (growing and developing bone), all grounded on bio-medical science and neuromuscular principles. Correcting, balancing and aligning the mal-aligned dental occlusal plane to a proper physiologic vertical dimension along an isotonic path of mandibular closure has been a hallmark key to GNM orthopedic principles for long term stability and success. 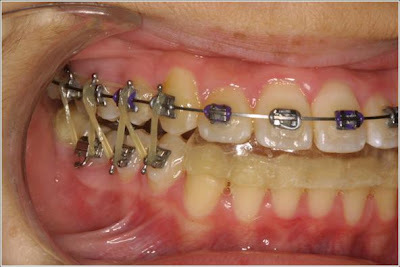 (Closing up a bite (VDO) and or creating tooth contact to an unknown jaw position that has not be quantitatively tested based on an involuntary isotonic closure path will lead to orthodontic relapse and treatment mishaps. Diagnosis is key)! The lower removable orthotic is used as an “Orthopedic Matrix” to transition the bite. Verticalization of the teeth, ligaments and underly bone occurs with slow gentle forces. KEY ONE – A strong occlusal philosophy based on biometric principles has been the first key on which we have built our teachings. Neuromuscular occlusion has effectively been shown to bring to the clinical dentist and team a whole new paradigm of thinking and understanding of what occlusion is really about. The traditional concepts have been further enhanced to realize that the teeth and supporting bone are not stand alone components in our dental health care arena, but rather the joints and muscles are an integral aspect in diagnosing cranial-mandibular orthopedic problems that relate to the complete masticatory postural system. KEY TWO – The second corner stone that has been developed in our student’s clinical knowledge and skill has been the understanding of the musculoskeletal occlusal signs and symptoms in which the Advanced Orthopedic Dentist has been founded. These foundational concepts have brought to our students an in depth look at the fundamentals to effective diagnosis and clinical treatment skills in identifying the musculoskeletally compromised patient as well as treating these more challenging cases in their dental practices orthopedically. KEY THREE – The third corner stone to enhance the aesthetic/ neuromuscular concepts has been the development of a strong orthodontic/orthopedic curriculum espousing the neuromuscular occlusion principles and advanced neuromuscular instrumentation to measure and record the bio-physiologic responses of muscle activity and cranio-mandibular relationships. These foundational disciplines have been the core to the understanding and clinical experience for the high-end general dentist and orthodontic specialist who have been searching for clinical answers to further their clinical experience. Understanding the importance of airway breathing, intra oral cavity development, aberrant tongue containment and positioning along with sound cranio-mandibular orthopedic verticalization techniques allows our clinicians to excell in facial development and optimal occlusal stability of the stomatognathic neuromuscular system. Based on the prevalence of malocclusion in the general population, it is easy to recognize that there is a large unmet need for orthodontic treatment. There has been no real change in the prevalence of malocclusions over time, or the need for care. However, the demand for care has increased significantly. 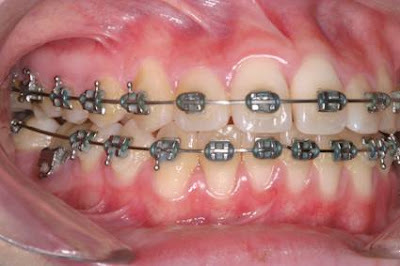 Narrow arches, airway breathing problems, compromised vertical dimensions of occlusion and under developed smile profiles are just some of the problems that must be addressed in meeting the overall Neuromuscular Goal – facial cosmetics, dental aesthetics, and musculoskeletally balanced occlusion is best met with a complete skill set of knowledge, understanding and abilities to treat orthopedically. The lower anteriors are now verticalized to the neuromuscular position replacing the orthosis. The first molars are the remain teeth to be verticalized to the myocentric position. Detailed medical and dental history – evaluating for any airway obstruction, allergies, tongue function. Radiographs – panoramic, lateral cephlograms, submental vertex, tomograms of TMJ, lateral cervical spine, and AP cephlograms. Complete neuromuscular K6/K7 work up, EMG, Sonography, a complete series of scans including a scan 4/5 bite registration. Mounted casts to the neuromuscular physiologic position. Photos or images in color – intra oral and facial. Diagnosis and treatment planning are made from these records. A written treatment plan is made up after careful study of records, identifying each visit and the fee for services at each visit.